What Saakashvili’s Resignation Means for Ukraine's Future? Former Georgian President Mikheil Saakashvili has resigned as governor of Ukraine’s Black Sea region of Odessa last Monday. The decision may symbolize the increasingly anti-reformist environment in Ukraine and the likely failure of promises spearheaded during the 2014 Euromaidan. 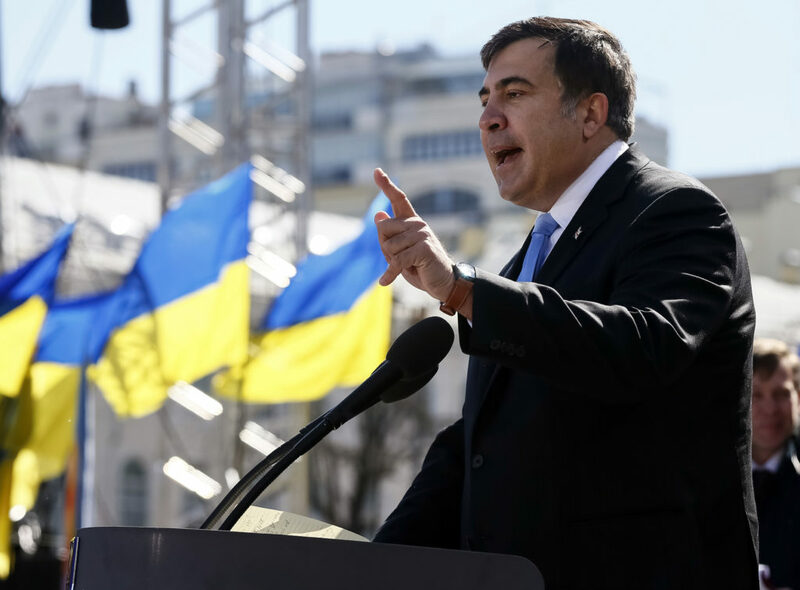 In his resignation speech, Saakashvili unabashedly accused the acting President Petro Poroshenko of backing criminal clans in Odessa and across the entire country. He also made shocking parallels by highlighting similarities between Poroshenko and former president Viktor Yanukovich, as he stated both are equally corrupt and “rob the country”. He went further and accused Poroshenko in dishonesty and sabotaging reforms in Odessa. Saakashvili has also stated that “the last straw that broke patience” were income declarations of Ukrainian officials that were made public last week. The declarations pinpointed to large income discrepancies among major governmental officials and allegedly highlighted possible involvement in various corrupt schemes. His claims were not groundless as Poroshenko’s declaration depicted him one of the richest man in the country along with closest political allies. Shockingly, many wealthy Ukrainian officials with millions of dollars in declarations are still seeking for social benefits from the Ukrainian state and the West for financial assistance. The resignation speech and loud accusations came as no surprise to many reformists in Ukraine. Saakashvili has been constantly accusing the Kiev’s leadership in corruption and lack of commitment to serious reforms in the country during his ruling as a governor. His efforts and those of the team of public affairs professionals that he brought all the way from Georgia, as well as Western educated Ukrainian and Russian nationals, were not sufficient to carry out successful reforms in Odessa. The failure is not an isolated case but a tendency. Earlier this year Aivaras Abromavicius, the Lithuanian-born former minister of economy of Ukraine, also resigned from his position while accused the Ukrainian central leadership in corruption. The anti-reformist sentiments have been on the rise throughout the year with central authorities posing the most of obstacles. Attacks on anti-corruptions activists are now happening with a threatening regularity. Furthermore, Saakashvili’s well-known outspokenness could have made him a target for many loyal to Poroshenko politicians who resists the course of changes. Despite pledging for reforms and the European future made during the 2014 Euromaidan, the current reforms’ trend is going backward. The Ukrainian central authorities appear as the force unwilling to undertake serious and sweeping structural reforms. As they might affect special business and power interests or those of clans and power groups that they represent. In effect, structural mismanagement and cronyism still dominate the country’s political system with Saakashvili’s resignation meaning that things are not going to improve at any time soon. The country’s population still dwells in deep poverty, whereas, sufficient economic growth looms somewhere beyond horizon. Saakashvili has realized that despite Western-backed revolution and unilateral support from all Western leaders, changing situation in Ukraine takes more steps than simply acknowledging the necessity. Overall, transforming situation in Ukraine appears as a much harder task than it was in Georgia during his reign. Criminal clans are deeply connected with the local authorities. Thus, there is no real separation between businesses and government. Furthermore, the political structure is still heavily centralized and even governor’s chair is not enough to successfully utilize the reform’s path. However, Saakashvili is not prepared to give up. His reforms in Georgia elevated the country’s key sectors to the completely new level and were remarkably successful. By depicting his resignation as a personal defeat by ‘black’ forces in Kiev he is hoping to continue struggle against the central authorities by joining ranks of the political opposition. Overall, the resignation is a warning sign for Poroshenko who is still trying to project his country as moving away from troubled past and embrace the European future. As reforms are gradually dying out and key-reformists keep resigning or disappearing, it becomes clear that the Euromaidan fell short of its promises but rather replaced one oligarch with another.